Lance Booth - lbooth@shawmedia.com Jessica Watkins, of Harvard, looks at the crowd shortly after arriving to here seat during the Harvard High School 2012 Graduation Commencement on Tuesday, May 22, 2012. 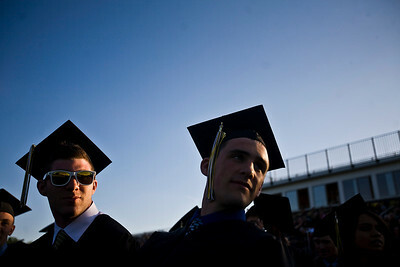 Lance Booth - lbooth@shawmedia.com Robert Leahey, left and Timothy Linhart, look at the band playing songs during the Harvard High School 2012 Graduation Commencement on Tuesday, May 22, 2012. 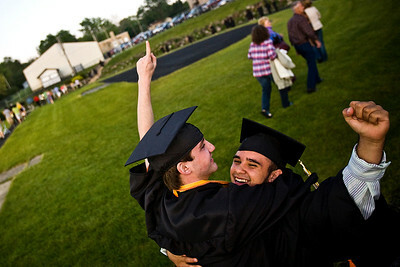 Lance Booth - lbooth@shawmedia.com Jesse Golliher celebrates in the arms of Shane Mackie, both of Harvard, after their graduation ceremony at Harvard High School on Tuesday, May 22, 2012. 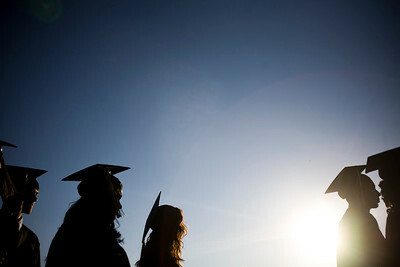 Lance Booth - lbooth@shawmedia.com Patience Esunis, 17, of Harvard, waits before the start of the Harvard High School 2012 Graduation Commencement on Tuesday, May 22, 2012. 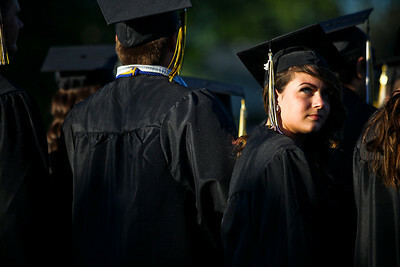 Lance Booth - lbooth@shawmedia.com Students line up during the Harvard High School 2012 Graduation Commencement on Tuesday, May 22, 2012. Lance Booth - lbooth@shawmedia.com Alicia Flores, of Harvard, watches during the Harvard High School 2012 Graduation Commencement on Tuesday, May 22, 2012. Lance Booth - lbooth@shawmedia.com Daniel Salas, of Harvard, laughs during the Harvard High School 2012 Graduation Commencement on Tuesday, May 22, 2012. 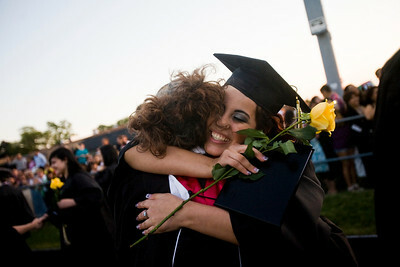 Lance Booth - lbooth@shawmedia.com Palmira Salinas hugs english teacher Kerry Schindl after the Harvard High School 2012 Graduation Commencement on Tuesday, May 22, 2012. 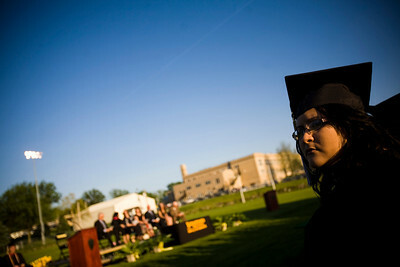 Alicia Flores, of Harvard, watches during the Harvard High School 2012 Graduation Commencement on Tuesday, May 22, 2012.